(OIO 1993) journeys to the Spoleto Festival USA in Charleston where he will perform Triquet in Eugene Onegin in May and June. Then, for the Charlottesville Opera (Ash Lawn Opera) he plays Curly in Oklahoma before heading West for the Pacifc Opera Project in Los Angeles to sing Edgardo in Lucia di Lammermoor in September. 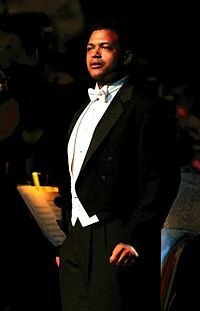 The Long Beach Opera has also signed him to perform in Menotti’s opera The Consul.